The riveting debut work from celebrated newcomer Lish McBride, Hold Me Closer, Necromancer drops a seemingly average boy into the adventure of a lifetime. Sam can't complain about much, even if his job isn't the most glamorous one around. 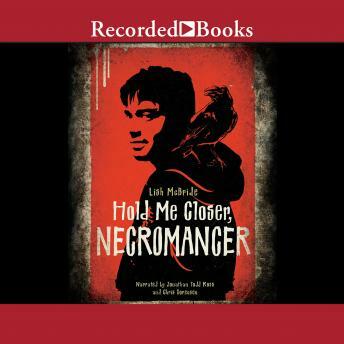 But his world gets a whole lot more complicated when he crosses paths with Douglas, a necromancer who gets paid to raise the dead. Douglas thinks Sam might have the right touch for necromancing, and when this turns out to be all too true, Sam faces unimaginable dangers.